TEL BURNA, Israel – Archaeologists are increasingly confident that they have discovered the remains of Libnah—an ancient city in Israel that is mentioned multiple times in the Bible. Since 2009, researchers have studied the remains of an ancient village at a dig site named Tel Burna, located 20 miles southwest of Jerusalem. The area was once a strategic border region between ancient Israel to the east and the Philistines to the west. Though the Tel Burna site has yielded important archaeological findings, the true identity of the site has long been uncertain. The ancient city of Libnah played notable roles in several Old Testament Bible passages. Moses and the Israelites visited Libnah during the Exodus from Egypt (Numbers 33:20-21). Joshua and the Israelite army conquered Libnah during their conquest of the Promised Land (Joshua 10:29-30), later devoting the town to Aaron’s descendants, the priests (Joshua 21:13). And, according to 2 Chronicles 21:9-10, the Edomites and the inhabitants of Libnah revolted against Jehoram, the evil king of Judah. 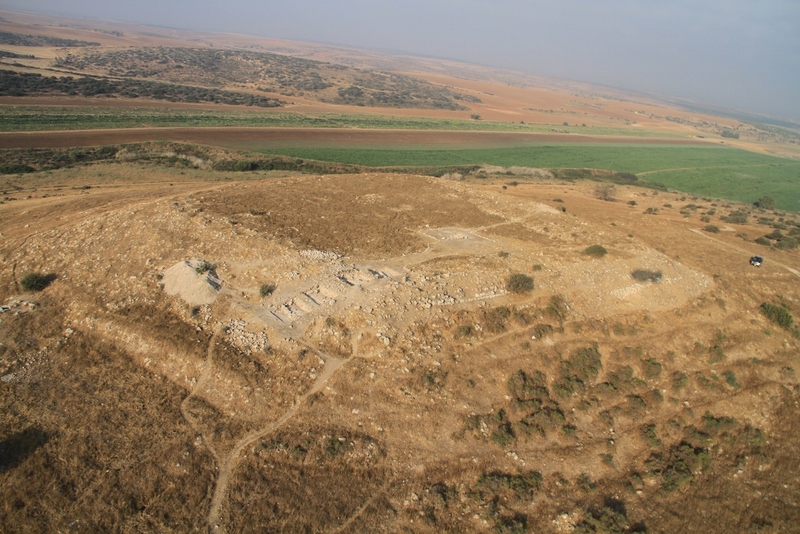 Experts now agree that the Tel Burna site was an important location during biblical times, primarily because of its location. Is the Tel Burna site actually the ruins of the ancient city of Libnah? According to archaeologists, it most likely is. Artifacts discovered at the site, including beads, seals, figurines, and ceramic vessels, have been dated to the 9th and 8th centuries B.C.—a period known as the Iron Age. This time frame closely coincides with the Bible’s historical accounts of Libnah. “The Iron Age remains attested to the importance of the settlement at the site and that it was a fortified Judahite border site facing the Philistines in the west,” Shai stated. As a fortified city, Libnah was most likely a strategic border city from which the Israelites fended off attacks from the neighboring Philistines. Other archaeological finds in Israel have recently confirmed notable biblical accounts. As previously reported, a 3,000-year-old stone slab recently on display in New York City corroborated the biblical account of King David. Other recent finds include an ancient synagogue in Israel where Jesus may have taught and the possible location of King Herod’s palace—where Jesus stood trial before being crucified.